If you want to grab a quick bite while on the move, the various fast food outlets in Mumbai could just be the right option. The choice of fast food is immense in the city. 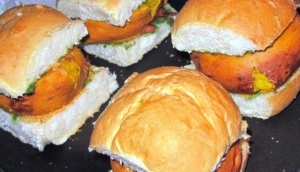 It could be a local favorite like the Vada Pav or it could be the burger. Indian fast food outlets like Jumbo King which offer a wide variety of Vada Pavs could jostle for your attention competing with world reknowned brands like Bembos in Mumbai. Jumbo King was inaugurated on 23August 2001. It is inspired by western models and believes that common man has the right to get tasty and hygienic food in cheaper rates..